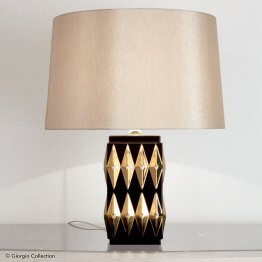 Lamp with base in combination of brown color and 24k gold finish. Shade in goldish silk. — Size: dia.. 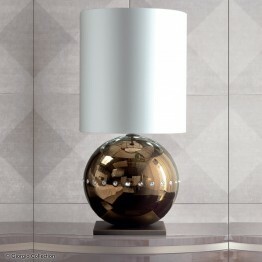 Ceramic lamp in Brown/Silver or Gold/Silver feaf finish with Brown or white shade— Small size: cm 18..
Lamp w/base in combination of “murano” clear blow glass and chrome stainless steel. 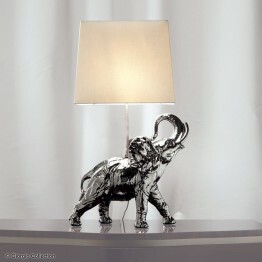 Black shade or b..
Lamp with base in ceramic platinum “Elephant” sculpture with beige satin silk shade. 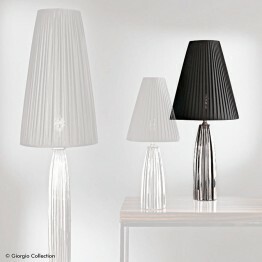 — Size: cm 48W ..
Lamp w/chrome stainless steel base and “murano” clear blow glass ball. Black or brown shade. 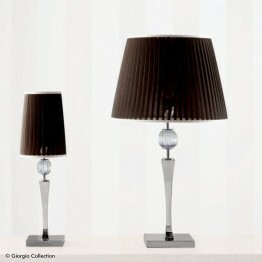 — Size:..
Brown ceramic lamp w/swarovski insert and platinum shining base. Velvet shade. — Size: cm 40,5W x 20.. 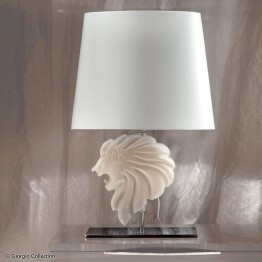 Ceramic Lamp in beige or brown color with “Giorgio collection” lion. 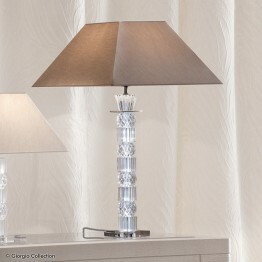 Chrome stainless steel base. 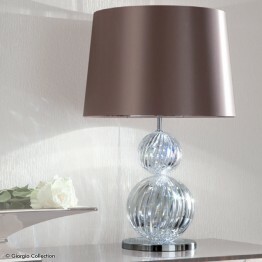 Wh..
Lamp w/base in combination of “murano” clear blow glass and chrome stainless steel. Black or brown s.. 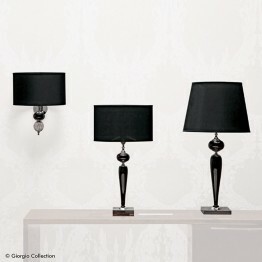 Medium lamp with base in combination of Venetian “Murano” blown glass and chrome stainless steel. 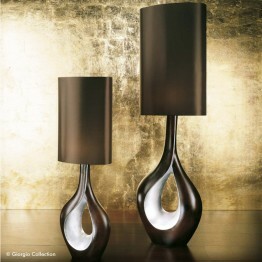 Sh..
Lamps w/base in combination of “murano” back blow glass and chrome stainless steel. Black shade.— Me.. Plasma T.V. 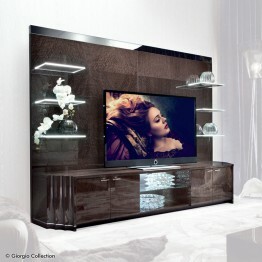 unit in moka japanese tamos burl veneer in high gloss polyester. Base w/4 doors and 1 op.. 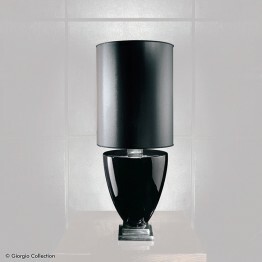 Ceramic big lamp in Platinum Shining Finish with black shade. — Size: diam. cm 40 x 80H (Base only d.. 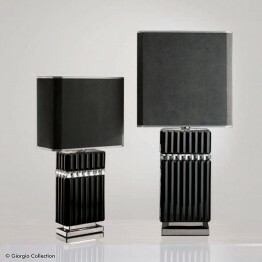 Ceramic Lamp in Black/Silver Leaf Finish with Black Shade — Lamp diam. 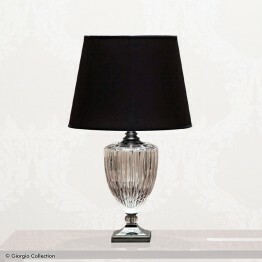 cm 30 h 87 (base only H 45)..
Lamp with base in bronzed ceramic with swarovski inserts. 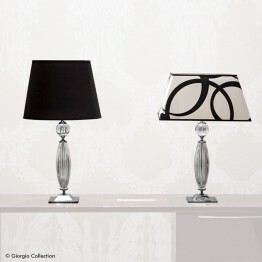 White satin silk shade. Bronzed stainless ..